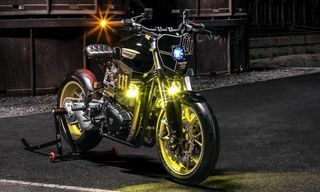 Customizing or even creating concepts of café racers are a thing of beauty, and this particular BMW R100R Mystic is a perfect example. 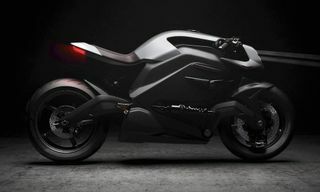 Reconfigured by French customizer Vincent Degano, the bike’s new look is defined by its shiny and sleek copper finish. The engine was etched clean and painted black after the rebuild, along with the wheels. After sand blasting the carbs, forks, frame and shock spring shot, they were covered with a custom copper powder coat, while the bodywork was painted in a faux copper paint that emits an extra polished finish. Other enhancements included 2010 speed triple forks, a pair of radial brembo brakes, a new axel, wheel and disc spacers, while the wheels were then blacked out and fitted with avon ‘storm 3D’ rubber, adding perfect contrast to its already eye-catching profile. 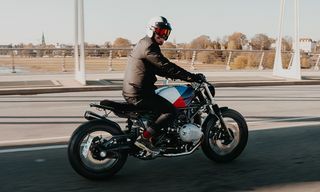 For a further look and additional details on this beautiful custom BMW R100R Mystic café racer, be sure to read the full story at Return of the Café Racers. 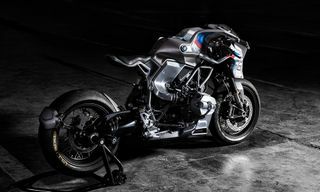 In other bike designs, this custom BMW K101 is a fusion of art and modern tech.